When the world is at your feet, turning your back on it is a big call. But most of us are not Fred Stichnoth. The German-born master of images relinquished life as a celebrity and fashion photographer in the late nineties, where he was poised for popularity, in order to decamp to the East Indies and collect shells. It's a move that has yielded a distinctive body of work. Fred's portraiture bears the hallmarks of his haute couture pedigree, applied to natural and exotic subjects. Elusive, beautiful and hidden, Stichnoth's images from his East Indies Series are like birds of paradise. Catching sight of these rare creatures, documented in their natural habitat against neutral backdrops, they are fragile specimens to observe. They turn their heads and bodies away displaying bright plumage. Shy, even a little frightened, but allowing the viewer to admire their exotic beauty. "Indeed, if you get too close though, it feels like they might fly away at any moment," Fred agrees, explaining that it can take over eight weeks to prepare a shoot, earning the trust of tribes, understanding their customs and sourcing the correct motifs, sometimes creating headdresses himself guided by the keepers of tradition in each remote village he visits. 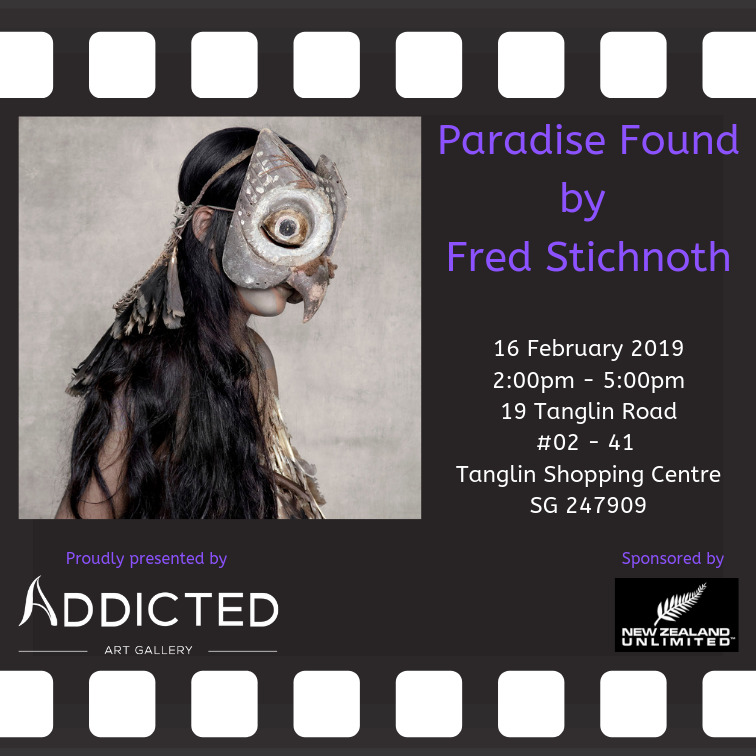 Addicted Art Gallery is proud to present Paradise Found, a pop-up photography exhibition featuring works by the talented Fred Stichnoth.